Prolific grey will be having his first race on dirt - and final contest before being retired to stud. John Gosden accepts Roaring Lion faces a “huge challenge” in the Breeders‘ Cup Classic at Churchill Downs on Saturday night. 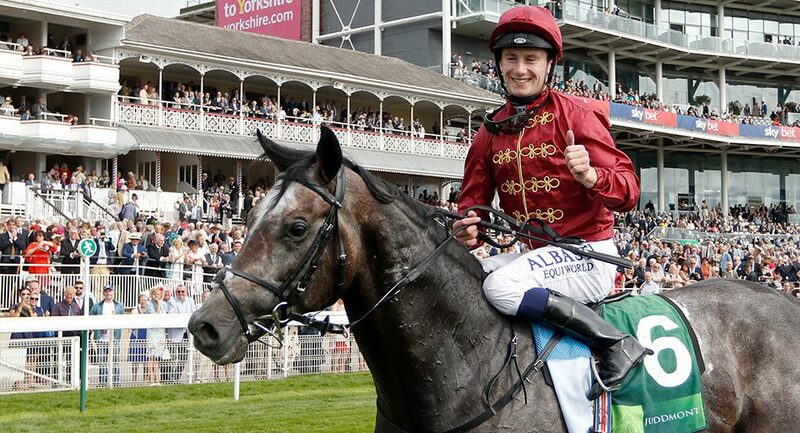 The Qatar Racing-owned colt has dazzled in the QIPCO British Champions Series this year – winning the Coral-Eclipse, Juddmonte International and the QIPCO-sponsored Queen Elizabeth II Stakes. He also found time to finish third in the Investec Derby and scoop the QIPCO Irish Champion Stakes. Roaring Lion will be having his final race before beginning his second vocation as a stallion and, crucially, will be racing on dirt for the first time. A son of Kitten’s Joy, Roaring Lion was put through the starting stalls by Frankie Dettori on Wednesday morning, in the absence of regular rider Oisin Murphy. The three-year-old spent around four minutes behind the stalls and the same amount of time in them, and the longer it went the more settled he became. He added: “It is a huge challenge for him, having only won the QEII 11 days ago. Frankie looked at him this morning and asked me, ‘Is that horse fit?’, such is the middle on him. “He was playing and squealing this morning, which is perfectly normal for him.